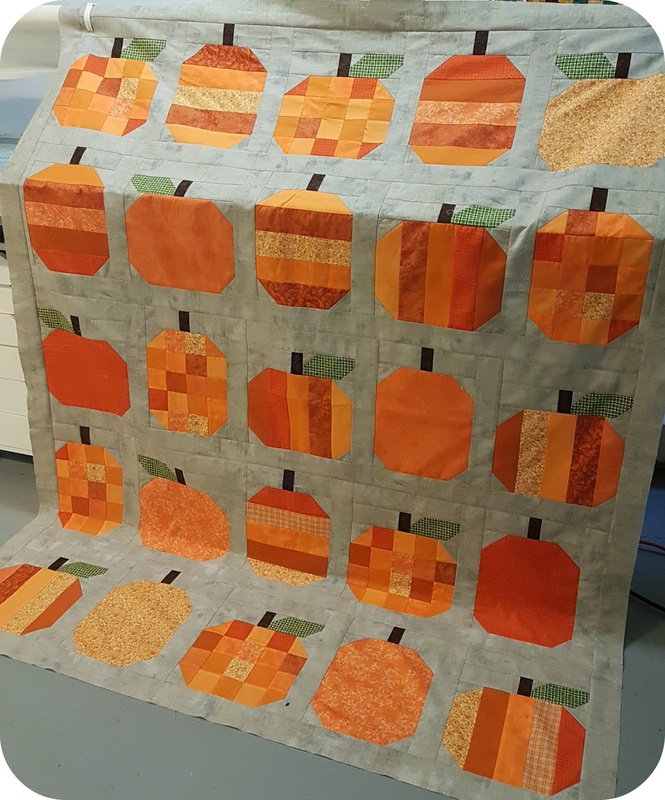 QuiltNut Creations: I love it, love it, love it!! I love it, love it, love it!! Well done. I love the variety in the pumpkin sizes.